A sales transaction can never be completed and closed without the issuance of an invoice thereby. 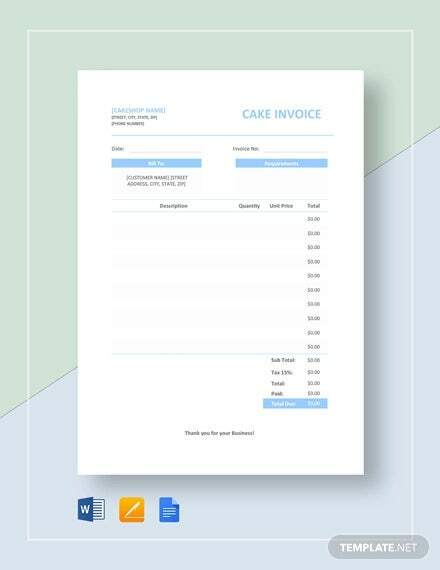 Unlike the generally-formatted proforma invoice, a bakery invoice is usually given to the buyer along with the bread or pastries he has bought in exchange for money to the baker. 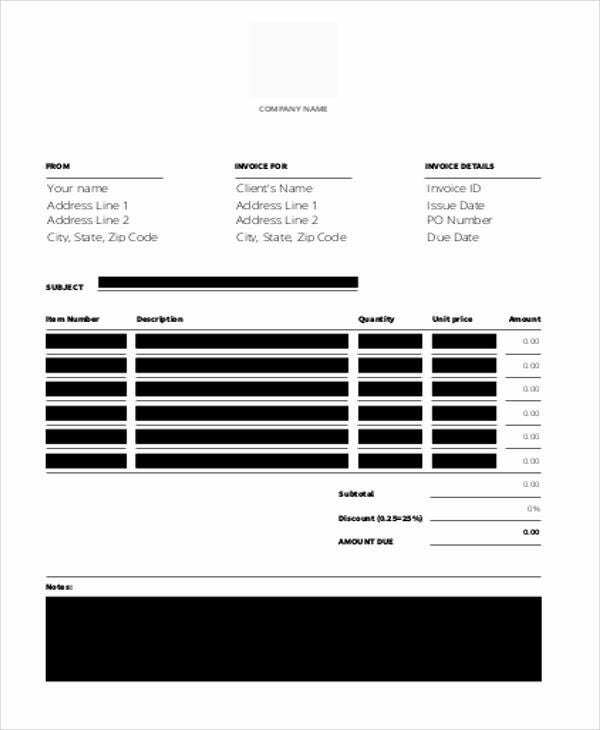 Invoice writing takes a some time depending on the quantities of details to be contained in the commercial document. 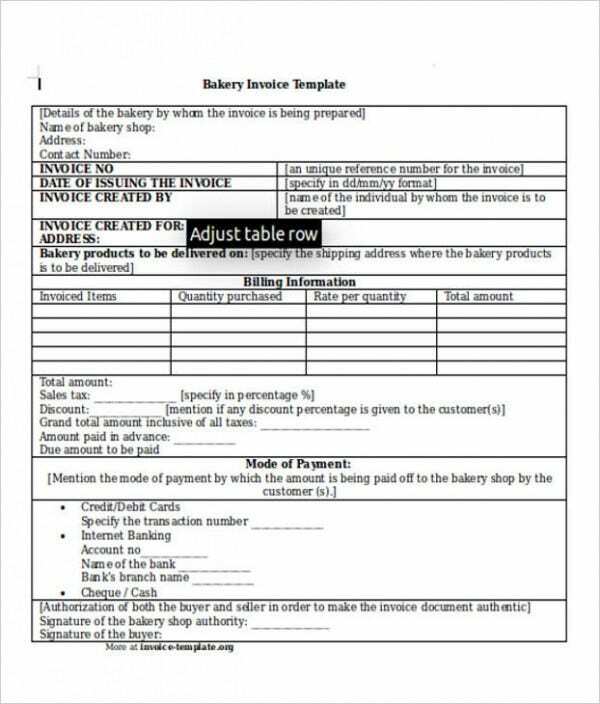 If you wish to get acquainted with various samples of bakery invoices, please allot extra time scrolling down to check our templates which have been curated by our team for the main purpose of helping you and others who are in need of bakery invoice templates. 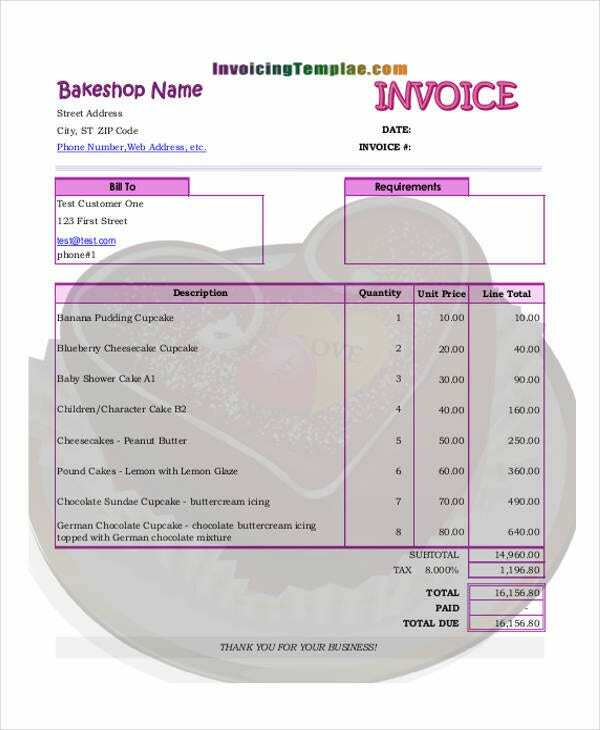 What Is a Bakery Invoice? 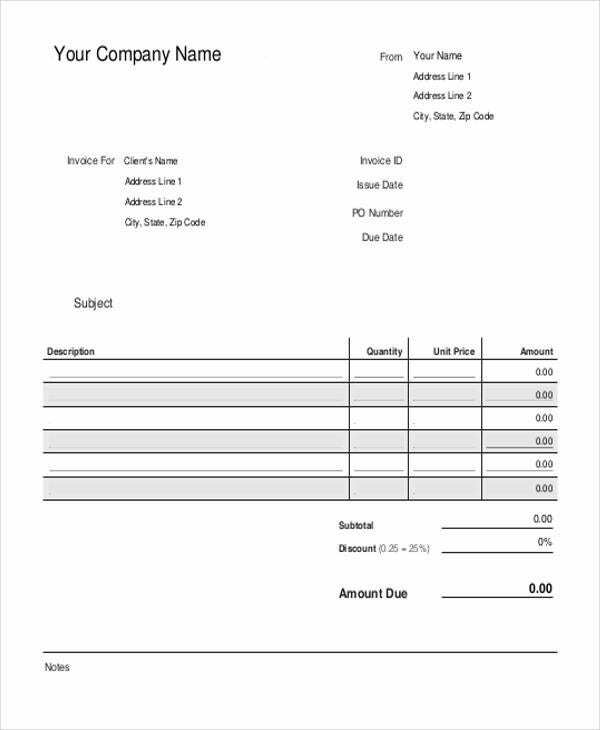 By the name itself, a bakery invoice is a kind of commercial document that is given to the buyer of pieces of bread, pastries, and other baked products after he pays for his purchase to the seller or the baker himself. For the document to be valid, the invoice must have the following characteristics. 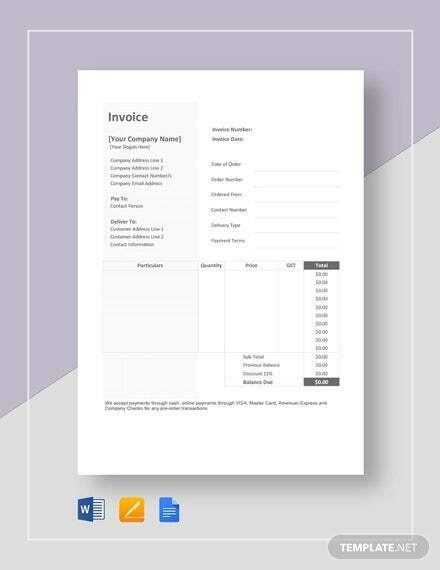 You may refer to samples of printable invoice templates or Excel invoice template for more characteristics of the invoice. 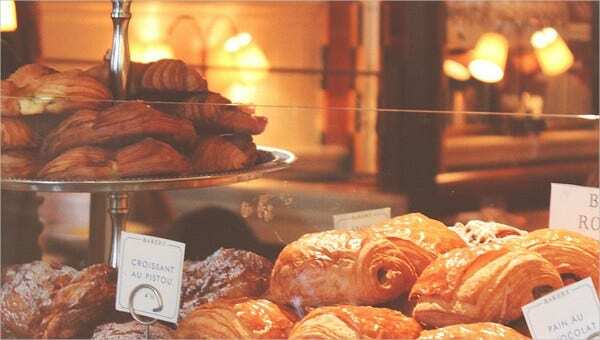 What Is the Best Software to Manage a Bakery Invoice? FlexiBake, which offers several features including sales management, sales history, customer management, and inventory management. Bakers Labelling Software, its features include customer management, production management, and labor cost calculator. Cybake, whose features checklist includes production management, sales history, sales management, and inventory management. Tips and Guidelines of Bakery Invoice? 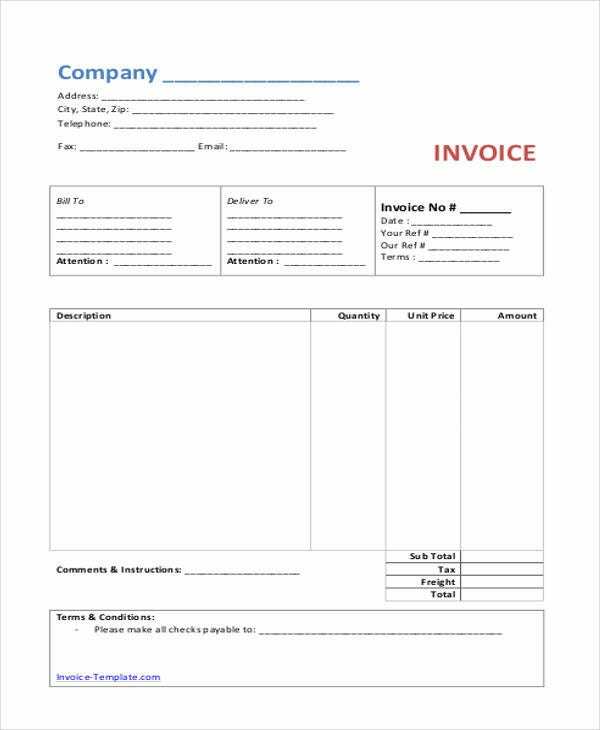 Make sure that your invoice contains the important details of the company, such as its name, location, registration number, contact details, and the like. The document must have a list of all the baked goods purchased from the store, along with their respective unit cost. The total amount to be paid must be written or printed clearly and legibly. Other fees and taxes may be included as well if deemed necessary. Keep the duplicate copy for future auditing purposes. Payment options may likewise be provided so that the buyer will be informed whether it is allowed to pay using credit or debit card. Invoices are indeed important to every business and company. Only by having the applicable management or system of invoices that the owner could be able to determine whether his store is doing good or needs some marketing strategies to drive more sales.